Welcome To The Madrasah Education Board JDC Result 2017. JDC is an Equivalent of JSC Exam. The JDC Short Code Meaning is Junior Dakhil Certificates Exam. JDC Exam Powered and Conduct by The Bangladesh Madrasah Education Board. The Post Will Helpful For The Students Who Attended JDC Exam 2017. Through This Post, We Will Provide Here About JDC Result Publish Date, Result Checking Method and Others Supporting Specific. So, Reading The Content Properly. You Can Skip Any Part For Reading Fast. Just Read The Part Which you Need. JDC Exam Complete on 19 November 2017. Now Every Student of JDC Exam 2017 Ask The Popular Question, “When Will The JDC Result 2017 Publish?” So Here You Will Find The Specific Date For Publishing JDC Result 2017. Madrasah Education Board Will Announce The JDC Result Publish Date Few Days Before. Basically, Junior Dakhil Certificates Result Publish With The JSC Result. So, JDC Result 2017 Will Publish The Same Date When JSC Result 2017 Publish. But Here We Can Say That JDC Exam Result Will Publish 28th/30th December 2017. According To Government Rule For Publishing JSC/JDC Result. The Result Must be Publishing Within 60 Days After Start The Exam. You Don’t Have Any Idea How To Check JDC Result, Then This Part For You. In This Section, We Will Provide The Ways of Checking Junior Dakhil Certificates Result. You Can Check JDC Result by Online. Also, Students Can Check JDC Result by Sending SMS. After Publishing Result, You Will Able To Check Result on Education Board Official Website. 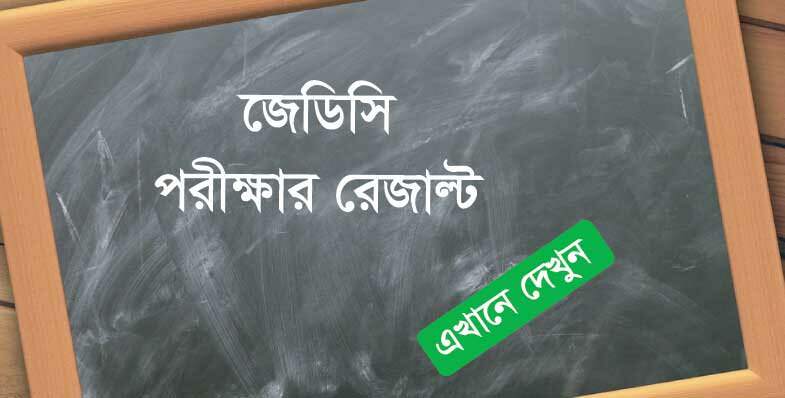 Also, You Can Check Result From Bangladesh Madrasah Education Board Official Website. You Will Need JDC Roll Number, Registration Number, Passing Year Exam Board (Madrasah Board). Then Go To the eboardresults.com Site and Check Your Result. While Checking Result, Just Select JDC in Exam Type, and Select Madrasah Board. Select JDC Passing Year (2017) from Dropdown Menu. SMS System is The Most Popular Way to Check Education Board Bangladesh Result. So, You Can Check JDC Result by Send SMS. JDC Result Through SMS Powered by Teletalk Bangladesh. All You Have To Send SMS To 16222 Number From Any Mobile Operator of Bangladesh. So, Send The Following SMS to Get Junior Dakhil Certificates Result. Send the message to 16222 after publishing the Result officially. Hope, You Get The All Information About JDC Result 2017. If You Have Any Question, Then Make a Comment and we Will Provide The Answer As Soon As Possible. Get the posts without visiting our site! Subscribe us direct to your mail. Dont Forget to activate the subscription from your mail.